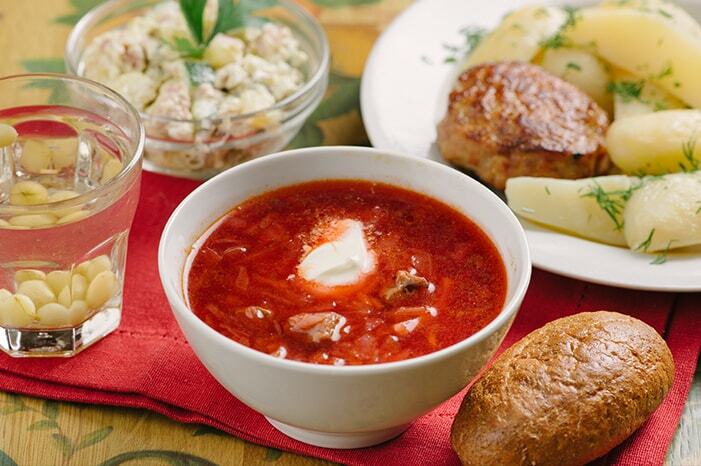 Grably restaurant chain is a part of Rozhnikovsky Gastronomic Academy Holding founded in 2003 by Roman Mikhailovich Rozhnikovsky, famous restaurateur. Restaurant chain also includes factory, cookeries, pastry shop, banquet and catering services, delivery service as well as the cooking school. Feature of Grabli restaurant chain is the exclusive interiors. The restaurants are created according to the general concept of landscape architecture, but each restaurants has its own flavor, which emphasizes its individuality. Grabli restaurants are visited by about 7 million people every year. Grabli restaurants are a good example and a showcase of taste standards, by which our partners can be guided in our joint cooperation. The first Grabli restaurant was opened in 2003 near Alekseyevskaya Metro Station. 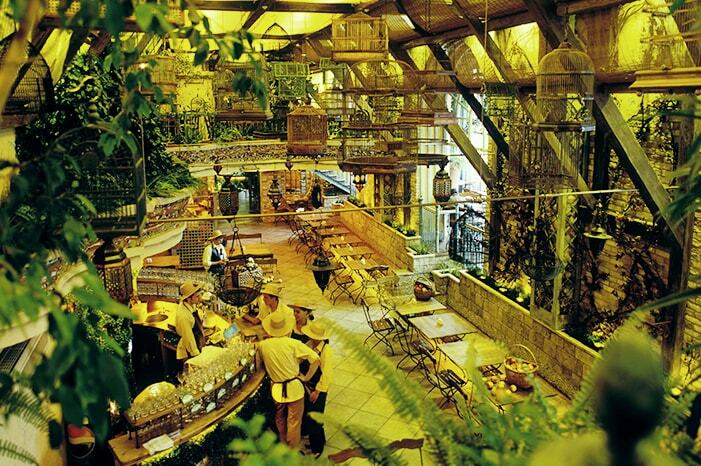 Grabli restaurant was the first in Moscow to introduce the free-flow concept. In English the term “free flow” means “smooth movement”. 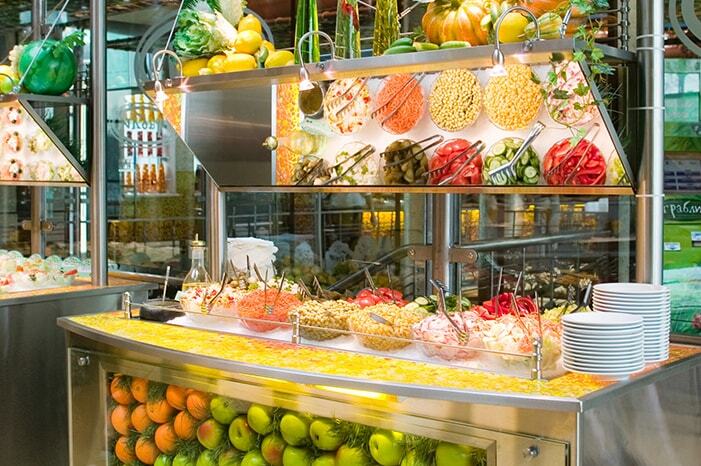 Within this concept, a guest freely moves through the food service halls where food is already arranged on plates; guests can put the food in their plates themselves, or with the help of a cook. You can create your own lunch! The menu of Grabli restaurant chain features more than 200 variety of European dishes, which are constantly updated. We carefully monitor the market trends and develop appropriate products — all our innovative recipes are developed by the technologists and chefs with a first-class education, taking into account the principles of a balanced diet, high taste and requirements of national and international standards. The kitchen factory, where there the basic processes of the food preparation take place, is equipped with the latest technology. Particular attention is paid to the quality of our dishes — all of the products are carefully selected and pass the strictest control. In 2004, after Grabli restaurant was visited by Y. M. Luzhkov, Mayor of Moscow, was issued the Decree of the Government of Moscow No. 677-PP dated October 5, 2004 “On the Development of the Chain of People’s Restaurants in Moscow”, where the concept for development of the chain was based on the experience of Grabli restaurants. In 2006, the concept of Grabli restaurant won a bronze medal across Russia in the Leaders Club Competition and was presented at the International Palm D’Or Competition in Marrakech. 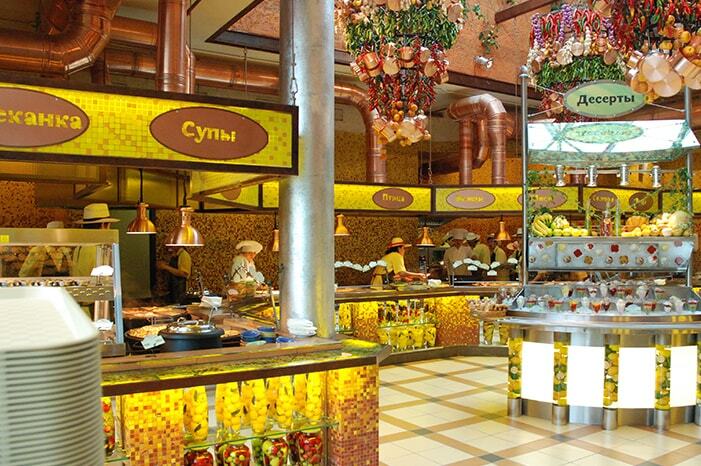 In 2006, Grabli restaurant on Pyatnitskaya Street won the City Target Program of Tourism Development in Moscow. In 2005, 2006 and 2007 it was awarded with the Golden Ring Award for the development of tourism. In 2007-2008, Grabli chain of restaurants was awarded with the Service Quality Mark of the tourist and recreational zone. Grabli restaurant near Alekseyevskaya Metro Station was awarded with the Diploma for the victory in the completion “The Best Restaurant of the District” and the Honorary Badge “Approved by Customers”. If you are looking for new restaurants in Moscow and want to surprise yourself, just come in «Grabli» and you will see that there are really nice, warm and homely atmosphere and tasty home!